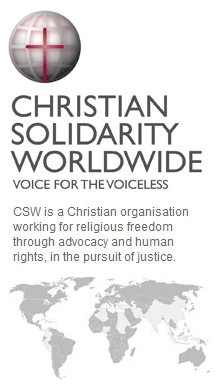 Christian Solidarity Worldwide (CSW) has today released a new report on religious freedom in Cuba, which shows that the number of documented violations of religious freedom almost doubled in the first half of 2014 compared to 2013. From the beginning of 2014 to mid-July, CSW recorded 170 separate religious freedom violations, many of which involved dozens of victims. This followed the record of 180 documented cases in 2013, compared with 120 in 2012 and 40 in 2011. According to the report, which covers January 2013 through July 2014, religious groups across the spectrum of denominations all reported varying degrees of hostility from the government, while only a few reported any notable improvement. 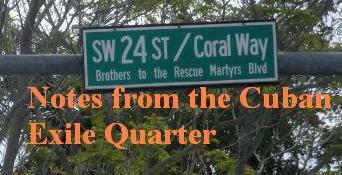 CSW’s investigation showed that government agents continued to employ more brutal and public tactics than witnessed in previous years. Week after week, scores of women affiliated to the Ladies in White were physically and violently dragged away from Sunday morning church services by state security agents. Most were arbitrarily detained until after the conclusion of religious services. There were also increased reports of threats of forced closure, confiscation and demolition of church buildings, including historic, registered churches. Some of these threats were carried out. One of the most serious cases involved the destruction of a large church and pastoral home in Santiago de Cuba on 2 July 2014. Some religious leaders reported being temporarily detained and imprisoned multiple times over the course of the past year. The case of Reverend Carbonell and the Trinidad First Baptist Church is illustrative of some of the root causes behind the more general increase in religious freedom violations across Cuba, which include increased government efforts to separate perceived political dissidents from communities of faith, and heavy-handed attempts to control public manifestations of faith. Church leaders believe that Reverend Carbonell and the Trinidad First Baptist Church were singled out because of their refusal to cooperate with government demands to expel and shun members of dissident groups and their families, as well as their involvement in unauthorised pubic ecumenical activities, including a well-attended inter-denominational Easter parade through the city centre of Santa Clara in 2010. Was against the war in Iraq and do not favor war in Syria. However, do believe that nonviolent resistance is the best way to confront this type of regime. FYI: Foul language will not be tolerated and will lead to being banned and your comment deleted.